Each bra findings kit contains enough elastics for the top and bottom bands, neckline and straps, as well as the channeling, hook and eye, sliders and rings – and a bow! The bra findings kit takes the guesswork out of what you need and how much to get to complete your bra. 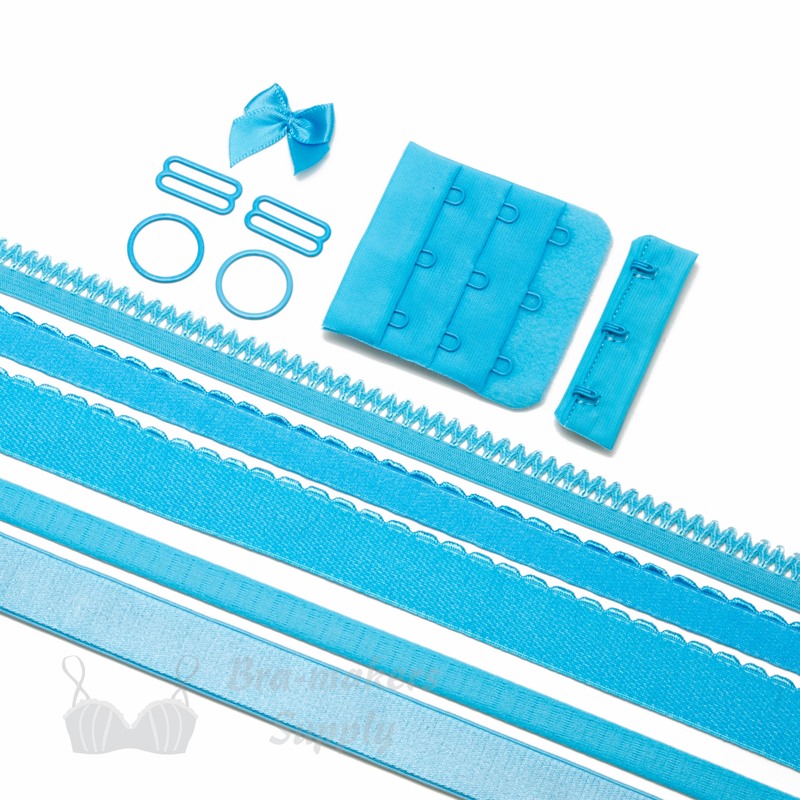 Please note: This kit contains the bra findings only – fabrics must be purchased separately.